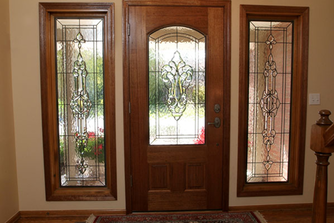 Doors and windows are very important to your home, both having an effect on it's appearance, value and energy efficiency. Aside from their negative appearance, windows with older panes and that allow air from the outside to enter the home are costing you money. Your heating and cooling bill will be affected by the inefficiency of the home's windows adn doors as your AC system and furnace are forced into overdrive. Don't pay more for your home's heating and cooling. Don't let your home be viewed as run down. Call My Handyman OnDemand today to instantly upgrade the appearance of your home, add tremendous value and to start saving money on your heating and cooling bills.